One of the problems with this is the limited amount of time you have to learn and perform the music before Christmas season is over, and you have to wait until next year again. In this lesson, you will learn how to quickly add a well known and popular Christmas song to your repertoire. And we are going to do this entirely by ear! Please don’t ask for it. It only slows down the learning process. My system of learning by ear requires you to rid yourself of sheet music, and doesn’t work if you cheat. Follow the instructions in this lesson. Download the mp3 backing track, and watch the accompanying YouTube video, and you will be playing this song by ear and from memory in no time at all. Christmas (Baby Please Come Home) offers us a great opportunity to explore several key aspects of what it means to be a saxophone player in a contemporary group. Christmas (Baby Please Come Home) is a popular Christmas song from 1963 originally recorded by Darlene Love. Like most other popular Christmas songs, it has been recorded many times by a variety of artists. This song comes from the classic rock and roll era and can be considered a modern standard (at least at Christmas time). As saxophone players we can easily fall into the trap of focusing solely on the “jazz” repertoire. There’s nothing particularly wrong with this unless you plan on performing for the general public who are largely unfamiliar with many of those songs. 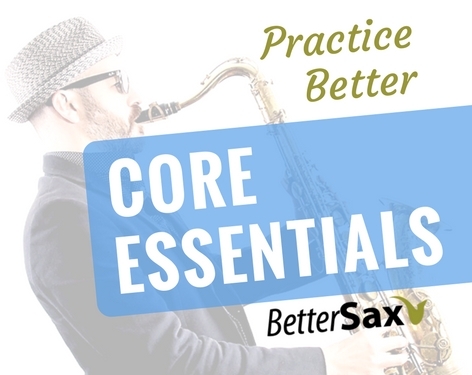 Learning modern standards and adding them to your repertoire is one of the most important things for you to do as a saxophone player who wants to connect with any kind of audience. Unlike most of the jazz standard repertoire, the modern standards often have simpler melodies. Many are like Christmas (Baby Please Come Home) and are very pentatonic based. Pentatonic melodies are easily remembered and often catchy which helps to explain their popularity. More reasons to study this scale. We are going to learn the melody by ear but think about the corresponding pentatonic scale at the same time. You will be memorizing the notes of the melody, but at the same time, I want you to think about the notes in the context of the pentatonic scale. For example, if you are playing the alto saxophone and your first note is E, I want you to also keep in mind that E is the 3rd note in the pentatonic scale. The reason we must do this is so that we can play this song in any key if need be. If we learn our Pentatonic scale in all 12 keys, and we know a given melody is entirely pentatonic based, we should then be able to play that melody in any key. Since you will likely be performing this song alongside a singer 1 key is not enough. Different vocal ranges = different keys. If you listen to some of the many versions of this song by various artists, you will see that it is performed in a variety of keys. The backing track I have created for this lesson is in the key of E-flat. I chose this since it is the key of the original recording, and is comfortable on the saxophone. E-flat saxophones such as alto and baritone will be in their key of C, while B-flat saxophones like tenor and soprano will be in their key of F.
Read my blog post about transposition for saxophones if this is at all unclear to you. The first step to learning this song is going to be simply listening to the melody. You can listen to any version you like, but you may find it easiest to start with a version in the key of E-flat (concert) since that is the key we will be playing in for this lesson. Listen to me playing Christmas (Baby Please Come Home) in E-flat on YouTube here. You may also want to listen to the original version by Darlene Love or the cover by Mariah Carey. Both of these are also in the key of E-flat (concert). Listening to music is as important for learning as playing your instrument. Listen to the song several times, until you can sing the melody. Learning the words is very helpful as well even though we will be playing the melody on our saxophone. Thinking of the lyrics while playing allows us to phrase the melody as a singer would, and match up our notes with what we hear in our mind’s ear. In my teaching, I encourage players to learn the pentatonic scale. If you’ve taken any of my other lessons, or studied my Pentatonic Foundation Course, you should already know how to do this. 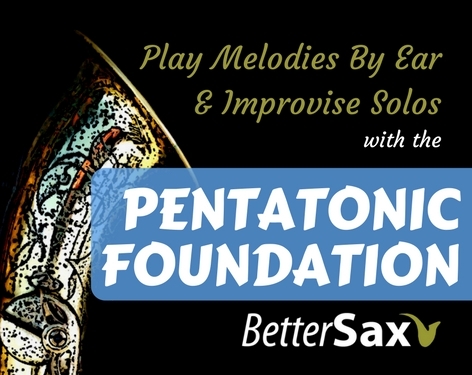 If this is new to you, I encourage you to check out the free preview of the Pentatonic Foundation Course which teaches you how to build a major pentatonic scale. Learn the scale for your instrument and play it from memory several times. Now we need to practice the pentatonic scale to really get it under our fingers. We want the notes to come out automatically, without having to think about them. Remember, this only works if you don’t use the sheet music. If you’re still looking at the sheet music to play the scale at this point, stop. It’s only five notes and you can memorize it easily, believe me. Once you have learned, memorized and practiced the following two exercises, the next steps should be quite easy. If you don’t, you are doing it wrong and will not develop strong rhythm. There is more about how to effectively use a metronome or backing track in the Pentatonic Foundation Course. 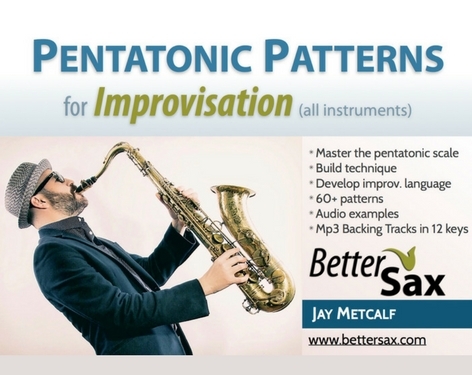 This exercise has you play your pentatonic scale over the full range of your instrument. Learn, memorize and practice PE1 in the key for your instrument now. Use a metronome or backing track for this. This exercise has us playing the pentatonic scale up and down one octave, but starting on each of the different notes. Learn, memorize and practice PE2 now. Again, you must use a metronome or backing track for this part. Learn to play the saxophone by ear with this comprehensive video course. These lessons have taught hundreds of students to do what they thought they couldn’t. 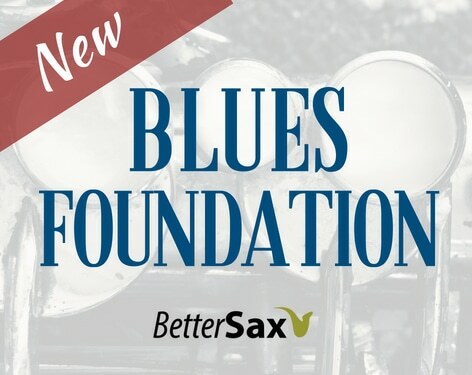 You’ll learn songs by ear, and get started improvising your own solos quickly. 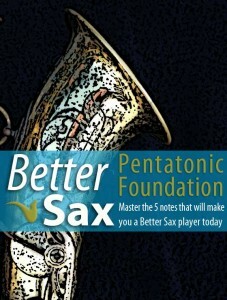 Further develop your saxophone technique and mastery of the pentatonic scale with this ebook & backing track collection. 12 backing tracks for each key. Go back and listen to the melody one more time to get it fresh in your mind. Christmas (Baby Please Come Home) has 2 sections, the verse and the chorus. Every note of the melody is one of the 5 notes in the pentatonic scale. When figuring out the melody by ear, remember that you are limited to these 5 notes. Don’t waste time searching for notes outside of the scale. I’m going to give you the first note of each section to help get you started. The rest is up to you. The Verse starts on 3 of the major pentatonic scale. By now you should know which note this is right away. The Chorus starts on 1 of the major pentatonic scale. The 2 sections of this song are short (8 bars) and simple. Once you have learned these 2 sections you have the entire song learned since they get repeated several times. I suggest learning the melody line by line. For example start by figuring out the notes that correspond to the lyrics “the snow’s comin’ down“. Next learn the notes by ear for the following line of the song “I’m watchin’ it fall“. Tip: Break the melody down into groups of 2 or 3 notes. Play each group of 2-3 notes at least 10 times perfectly and in rhythm before moving on. Repeat each line several times until it is well ingrained in your memory. You can use one of the suggested recordings to play along with while doing this. Pause and rewind as many times as necessary. This is the fastest and most efficient way to learn any melody. You may be pleasantly surprised about how well you do with this. Keep in mind that the form of this song is a repeating pattern of verse, verse, chorus. In the YouTube video of me playing this song, you will hear me play an improvised solo towards the end. I start out playing exclusively notes from the pentatonic scale, and later expand my note choices beyond. You can see how I can construct an effective solo using only these five notes. I encourage you to experiment with this yourself. Put the backing track on and try playing simple and short phrases, as I do in my solo. Feel free to copy any of the ideas you hear. It is crucial to leave space and let your improvisations breath in much the same way that an effective melody does. Below is an excerpt from my Ear Training Lesson for the song Stand By Me. Check out the free lesson for learning Stand By Me by ear here. The same advice can be applied to Christmas (Baby Please Come Home) and any other song you want to improvise a solo over. Once you’ve really learned the melody and memorized it, play it several times over the backing track. Feel free to make variations using other notes in the pentatonic scale but make sure you play all the actual notes of the melody, and leave space. Just like good melodies, solos need to breath between phrases. Do not make the common mistake of beginning improvisors (and some not so beginning) of playing a constant stream of notes with no space. The first 8 bars of the original melody to Stand by me goes like this: 3 notes, space, 2 notes, space, 5 notes, space, 4 notes, space, 3 notes, space. Try practicing playing an improvised solo over the backing track using the same formula as the original melody and only play notes from the major pentatonic scale. This is a great way to discipline yourself and keep your soloing under control. You will quickly see that the results can be very musical. Do this over an over and see how creative you can be under the constraints. This is basically what a good improvisor should do. Be creative within a set of guidelines. If you practice soloing like this, you will be able to play a solid solo over a song like Stand by Me in no time at all. Next, try varying the formula for notes and spaces. Try for example 3 notes, space, 1 note, space, 6 notes, 2 notes, space, 4 notes. Write down your own formulas like this and try them out over the backing track. The space can be as short or long as you want. Use your ear, and be as musical as you can. I’ve recorded an example of the sort of solo you can create just by using the pentatonic scale. See if you can copy some of the lines I play. Have fun practicing, and let me know in the comments if you have any questions. Having trouble finding the backing track for Christmas baby please come home. Not sure if i’m missing something. I’ve added a couple of links to the post to get the mp3 download. There weren’t any before so thanks for pointing this out. I’ve also sent you an email with a direct download link. I’m going to give it a try but I would just like to say that your a great sax teacher jay this site is awesome !!!! !